Our Best Answer - How do I apply for graduation? 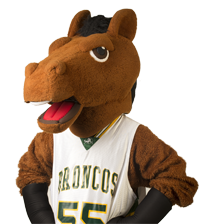 To apply for graduation, go to your Student Center in BroncoDirect and select "Other academic..." from the drop down menu. Click on "Apply for Graduation" and follow the prompts. More information about the graduation application dates and process is available from the Graduation Application webpage, including dates and instructions for applying for graduation. Watch the video below to learn about the graduation application.